In this blog we will research what happens when end user clicks save button after Closing Date is changed in WebClient UI. This time we use naming convention CRM*SAVE_EC* to list the function modules which will be responsible to trigger the persistence of the change into corresponding database table. CONSTANTS: gv_guid TYPE crmt_object_guid VALUE '6C0B84B759DF1ED6BDF05763B3DC8841'. ls_change = VALUE #( ref_guid = gv_guid ref_kind = 'A' objectname = 'OPPORT_H' ). The left part of this blog will explain these two steps in more detail. How this registration information is loaded in the runtime could be found from this wiki page. 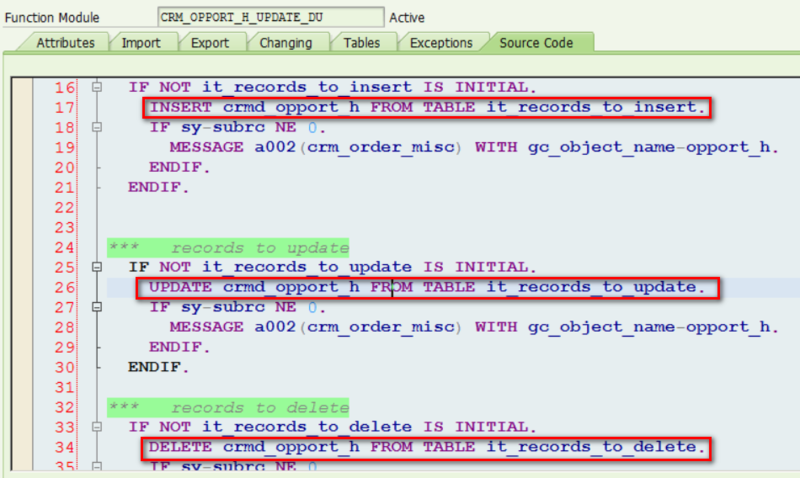 This callback function module does not have any logic but directly delegates the call to CRM_OPPORT_H_SAVE_OB, which calls a generic function module CRM_ORDER_TABLE_SAVE to determine the kind of current change ( Insert, Update or Delete ) and call update function module CRM_OPPORT_H_UPDATE_DU to perform database change. 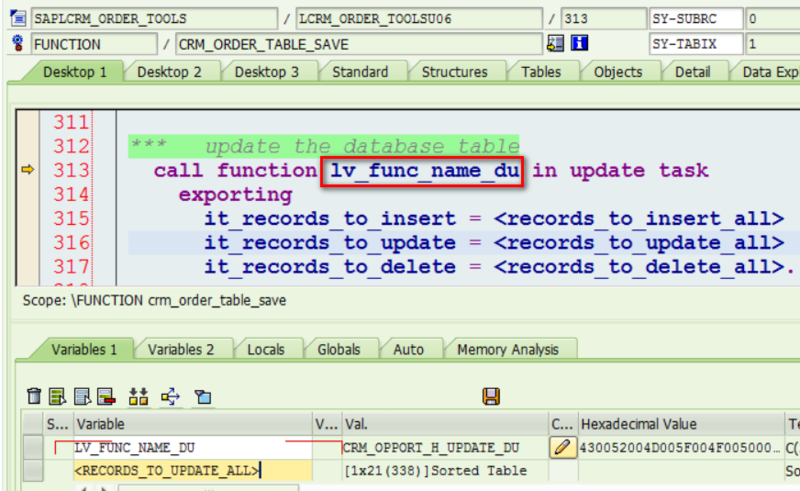 (1) call CRM_OBJECT_NAMES_DETERMINE to get corresponding DDIC object names and update function module name for OPPORT_H. 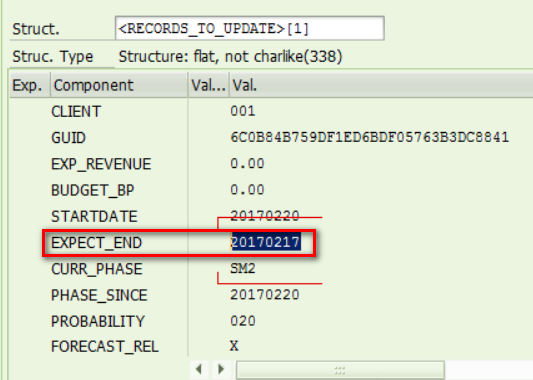 (2) call CRM_ORDER_UPDATE_TABLES_DETERM to extract the detail changed data. In my example, 1 update operation is detected for OPPORT_H. How this change detection is done? By comparison on these two buffer we can know the given opportunity has a change on Closing Date field in header level. It simply inserts the guid of changed opportunity to be saved into a global internal table gt_guids_to_save. In my example report, the execution of this update function module is triggered by COMMIT WORK AND WAIT. The corresponding OPEN SQL statement is executed according to changed data in INSERT, UPDATE or DELETE mode.